The bleaching of the canvas is a long process. Woven canvas at first gray. 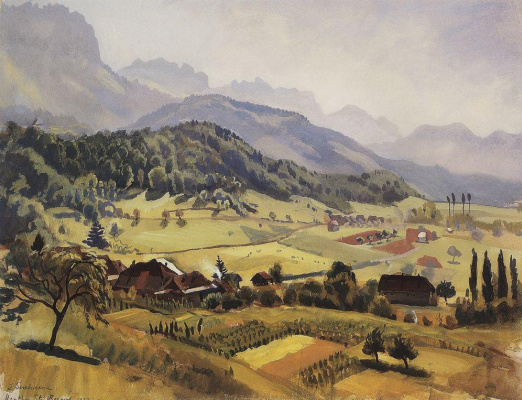 To make it white, canvas evaporated the liquor, and then for a few days spread out on the grass, and to do it in the morning or evening, because the canvas should be wet. The picture just shows the process of spreading the canvas. In the Russian Museum one of the thumbnails. 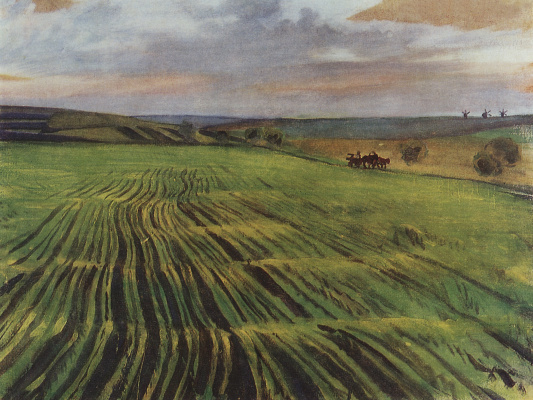 Before proceeding to the final version, Serebryakov wrote many preliminary works have been preserved outline (1, 2, 3). Interesting to see how the picture has changed to the final incarnation. At the option of the Russian Museum before us a common subject. 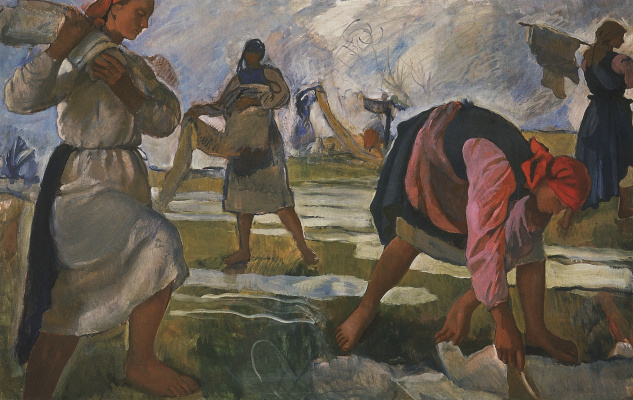 Peasant women working on the canvas on the background of recognizable Boring, in which Serebryakov wrote these works. 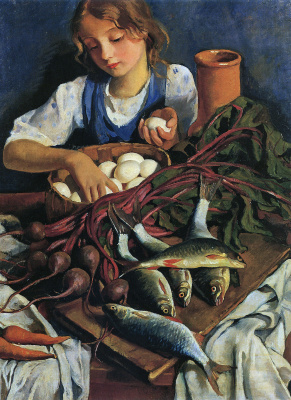 In the final picture, the artist has abandoned the narrative. 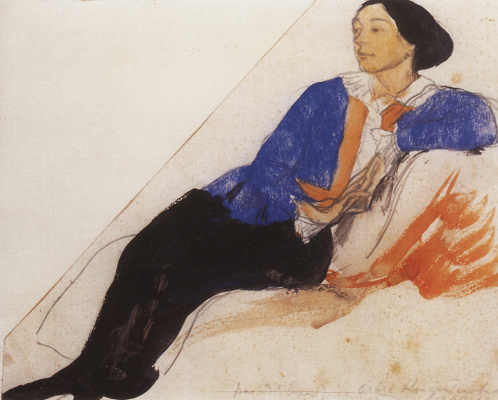 The story, which is presented on "The bleaching of the canvas" from the Tretyakov gallery – not about life, it came to monumental, archetypal level. Women's figures seem huge, they cover the entire sky, clearly standing out against its pale blue background. This effect is achieved by the fact that we see them from the bottom up, which gives the figures of monumentality. 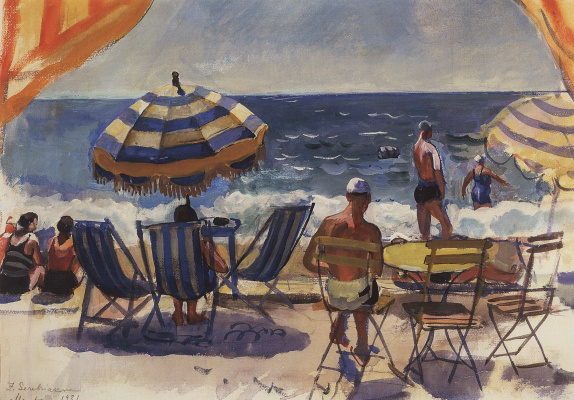 The painting is concise and built on the rhythmic roll of red, blue, white colors and shades, smear clear – no flirting with impressionism. If we talk about the artistic roll call, it is appropriate to remember unless the frescoes of Renaissance masters. 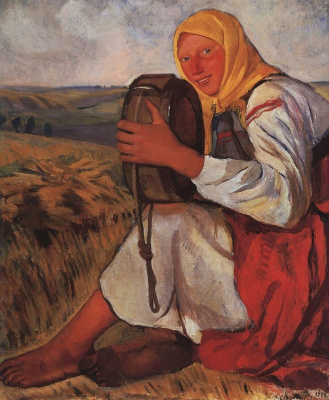 The final painting of the peasant woman does not look like a peasant at work, they look like goddesses, not just bleaching the canvas and creates the world. Well, or at least the milky Way. However, with this analogy in dissonance take a well written women's feet: strong and at the same time elegant, dark, penetrated by sunlight and emitting heat of a young body – very real, human, female. 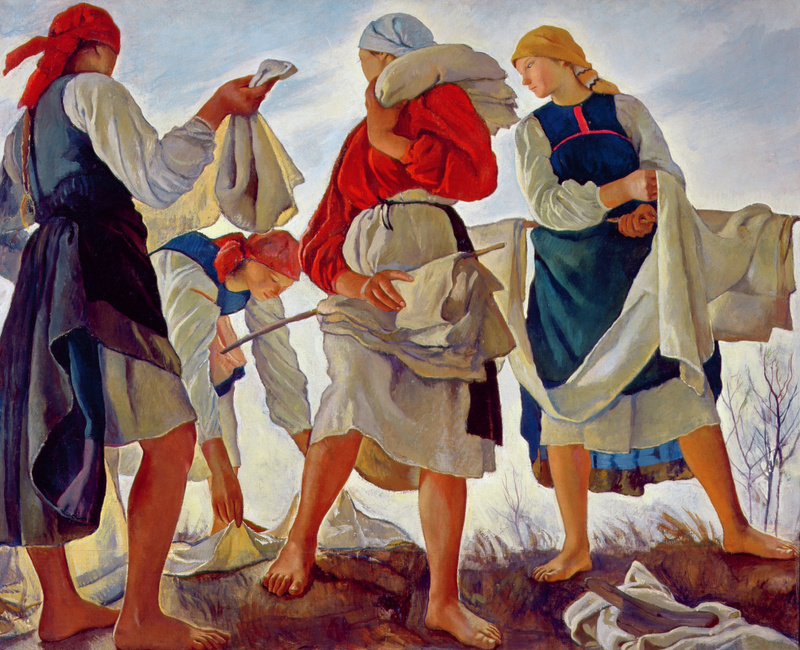 The image of peasants – one of the key themes of Zinaida Serebryakova, along with family portraits and just portraits, Nudes and dancers. 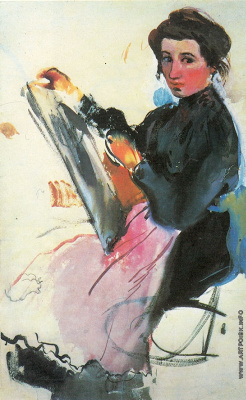 "Whitening canvas" – the highest realization of this theme in the work of the artist. 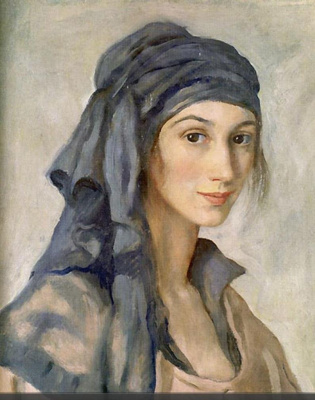 With his models from among the peasants Serebriakova was in a warm relationship. When the revolution began, it was its farmers warned of Life that preparing for the arson of their estates. 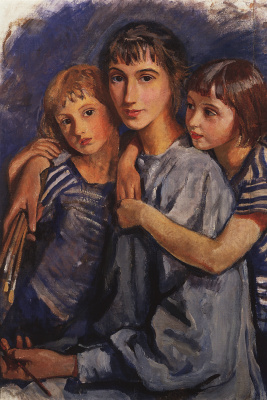 And when the husband died, often transfer from the peasants allowed to Zinaida Serebryakova and her children in Kharkov to survive in times of famine.